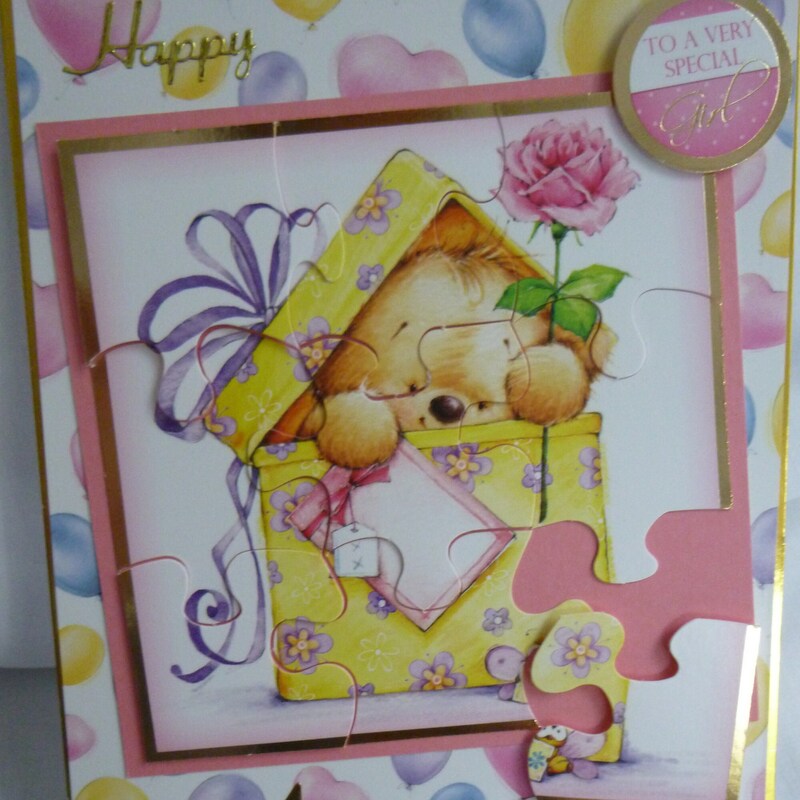 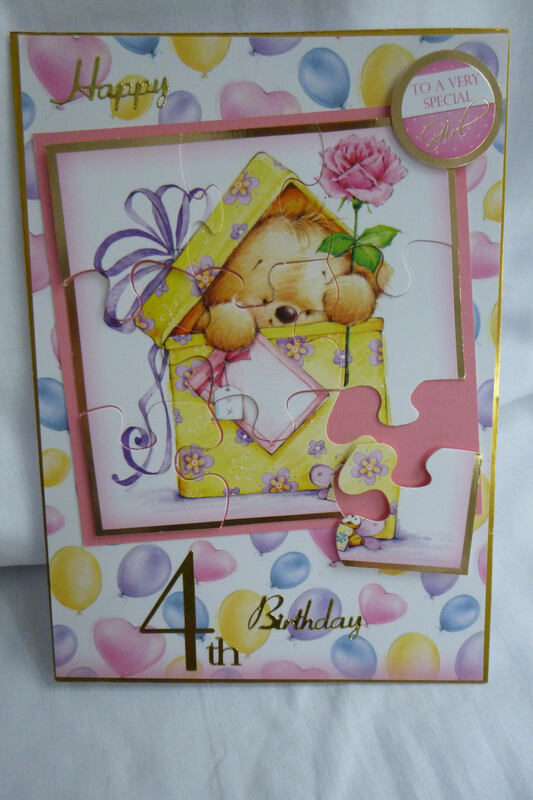 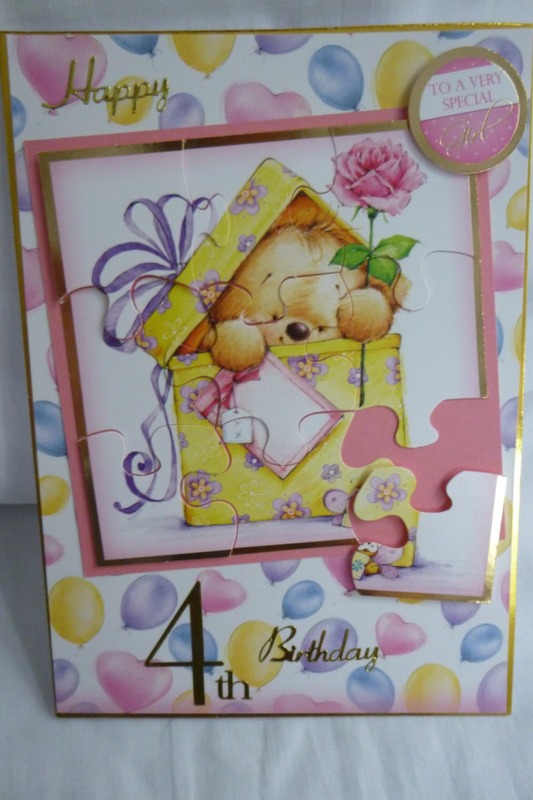 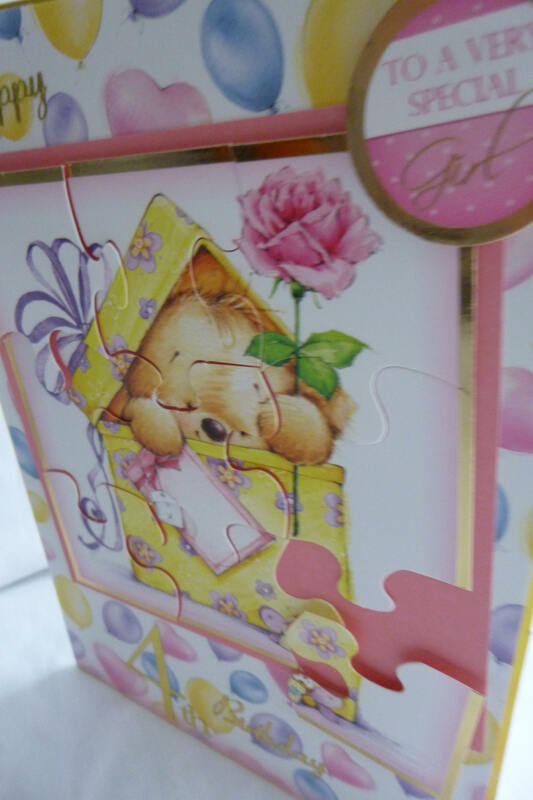 Birthday greeting card, 4 year old little girl card, made with white bas card, layered with gold card, patterned card with balloons on it, in the centre is dark pink card with a large topper of a teddy sitting in a present box, which in puzzle shapes, with gold wring of 'Happy Birthday', and the number 4, ( which can be changed if required). A sentiment in the top right hand corner which says 'To A Very Special Girl'. 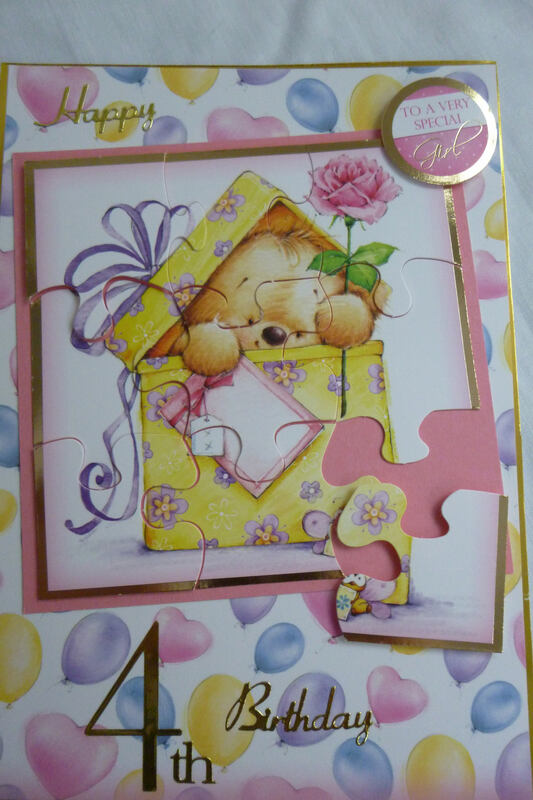 The inside the card is pain white insert paper, which is left blank for you to write your own message.